I'm here with my second post today, I'm getting a few crafty things done and playing along with challenges. (Which I haven't been do much of lately) What else is a girl to do when she is practically confined to the craft room... I mean it is currently the most comfortable room in the house. I'm sharing a post I made for the CSI challenge. 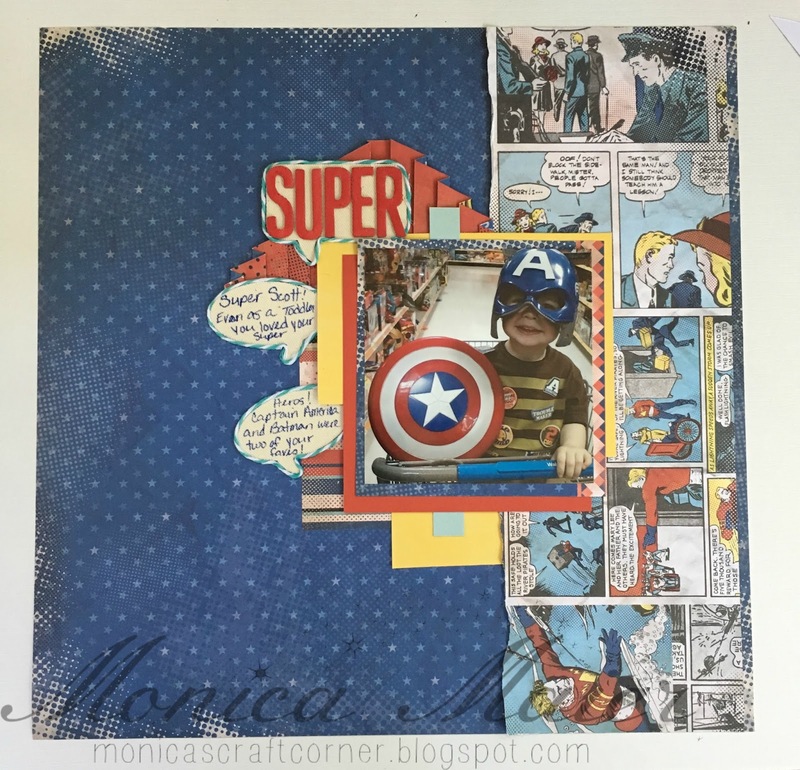 It is very super hero related and with three boys in the house it's a prefect theme for me. ;-) I love how they set the theme up in case files and the options they give to use on a layout. 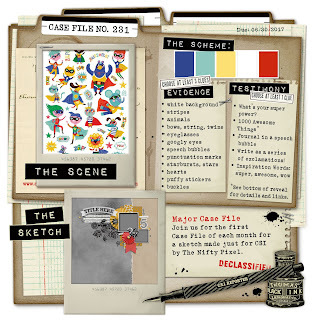 Besides using the sketch and colors, I have four evidence and 2 testimony options on my page. I LOVE that superhero comic book paper! That paper, the twine around the speech bubbles & the layering and pleating under that great photo combine to make this a SUPER sweet layout! Thanks for joining us over at CSI!! What a fun take on the Superhero theme. 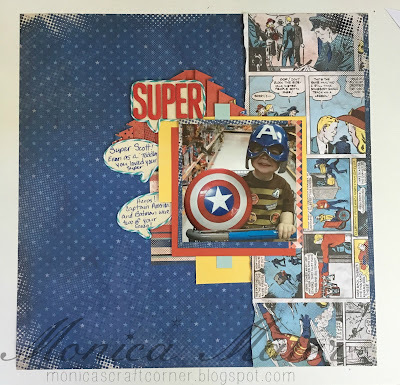 That strip of comic book paper is simply perfect for the challenge, and also for that cute photo of mini Captain America. Fun too that you placed your journaling in speech bubbles. It mimics the comic strip. Well done ! This is brilliant! Love that you used that comic strip!